The ability of the state to maintain citizens’ trust remains a challenge in many emerging economies. Where state control and service provision is weak, non-state actors may undermine the state’s legitimacy by providing public services outside of state institutions. Researchers are evaluating the impact of various types of exposure to state and non-state services on citizens’ trust and engagement with these entities in Pakistan. The ability of the state to maintain citizens’ trust remains a challenge in many emerging economies. Where state control and service provision is weak, non-state actors may undermine the state’s legitimacy by providing public services to citizens, such as criminal or land-related dispute resolution. Declining use of state institutions for these services may indicate a shift in citizens’ allegiance towards non-state actors. This could potentially create a vicious cycle: as state institutions are weakened, state failure becomes more likely, encouraging non-state actors to play a more active role in providing public services, which can further undermine state institutions. While social scientists have long hypothesized about the forces that alienate people from the state, there are few rigorous impact evaluations on the factors that affect citizens’ trust in state authority. Researchers are evaluating the impact of various types of exposure to state and non-state services on citizens’ trust and engagement with these entities in Pakistan. 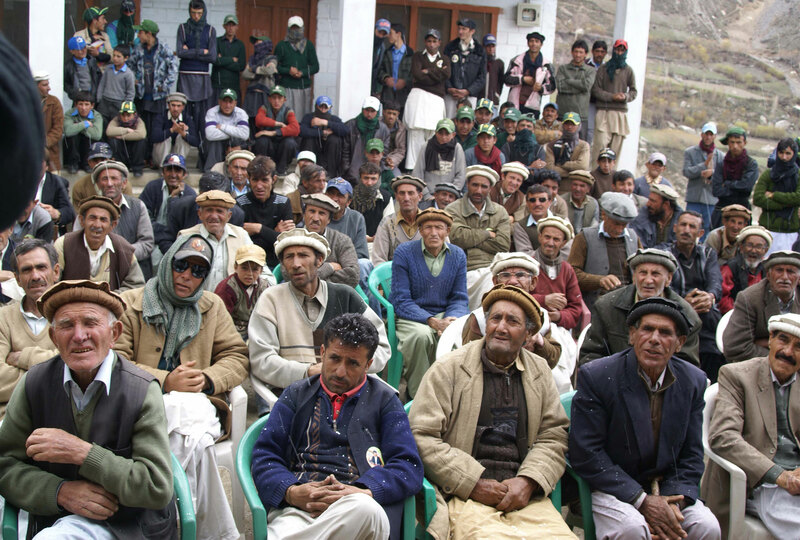 In Pakistan, non-state actors, such as local leaders and informal town councils , have been playing an increasingly important role in providing criminal and land-related dispute resolution services, potentially undermining the local courts and police, which have legal authority to redress these disputes. The key non-state actors we are working with are the local village panchayats, which play a significant role in dispute-resolution. Rural populations most frequently go to panchayats to solve disputes. However, several recent policies have been introduced by Punjab district to improve the role of government in dispute resolution by providing better services and better access for a wider segment of the population to the police, courts and judicial system. Group 1 (information): Researchers will provide a randomly selected half of this group with positive information about the effectiveness of state actors, and the other half with positive information about the effectiveness of non-state actors. The information will be three to five sentences long and use real details based on local news articles and secondary data. Researchers will examine whether information alone can affect citizens’ perceptions about state and non-state actors, and whether it shifts their perceptions in the same direction and to the same degree. Group 2 (exposure): Researchers will provide detailed information on on two new services introduced by the Punjab government to improve access and use of the judicial system. A randomly selected half of the respondents in this group will receive detailed information on both services (state-heavy treatment), and the others will receive information on just one (state-light treatment). Participants will be exposed to the details of the program and will be shown pictures of the program office and the program website. This will allow researchers to measure the impact of access to new state services on citizens’ trust of the state and perceptions of state effectiveness, as well as spillover effects of information about one service on use of the other. Group 3 (experience): Individuals in this group will receive a legal guidebook discussing resolution options for common types of cases. Law students and/or paralegals will also offer support on individuals’ cases through vouchers for consultation hours or through a series of household visits. Half the group will be offered state-endorsed legal consultation, and half will be offered neutral legal consultation. This treatment will help researchers measure whether reducing the cost of using state services can further increase their use and citizens’ trust in the state. Comparison group: Individuals in this group will receive no intervention and serve as a comparison for the other groups. Researchers will use surveys to track citizens’ perceptions and preferences about state and non-state actors, as well as administrative data to track the take-up rates of the two state services and the status of citizens’ criminal and land disputes over the study period. Together, these findings will provide rigorous evidence on factors that can increase or decrease trust in state authority, whether this leads citizens’ to engage more or less with non-state actors, and the level and type of interventions necessary to increase their trust and engagement with the state. Daron Acemoglu, Ali Cheema, Asim I. Khwaja, James A. Robinson. "Trust in State and Non-State Actors: Evidence from Dispute Resolution in Pakistan. "NBER Working Paper No. 24611 May 2018.